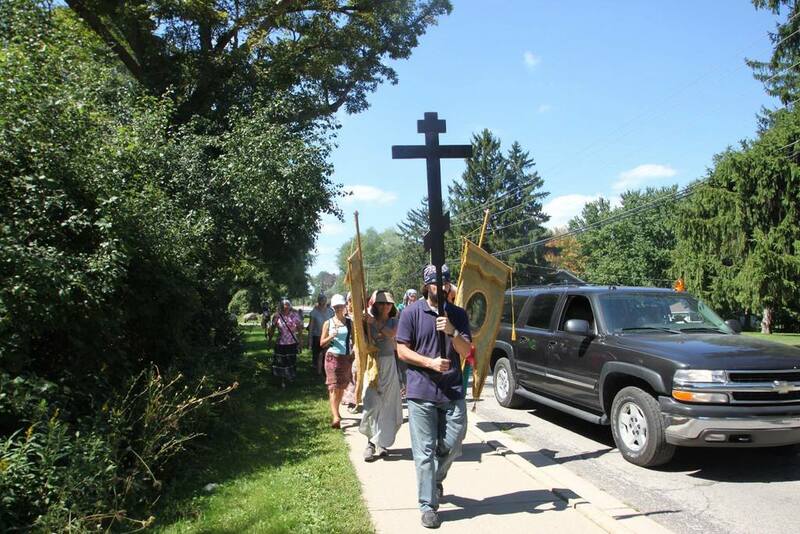 On Labor Day weekend, with the blessing of Archbishop Peter, we had our second annual Walk of Life pilgrimage, lead by Father Daniel Marshall and hosted by Saint Vladimir Orthodox Church in Dexter, Michigan. 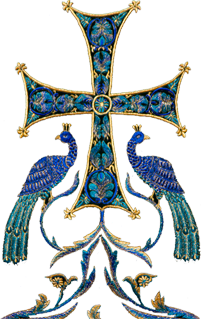 The pilgrimage began with Vespers at St. Vladimir’s, followed by a Moleben to the Theotokos and Saint Peter of Moscow, the patron of our pilgrimage. Fr. Daniel gave us words of encouragement following the services, reminding us that this would be a time to turn our hearts to God in prayer, with the goal of the “walking itself to become a prayer.” While the destination was to a farm, the very act of journeying with prayerful intent is of great spiritual benefit, for it took us away from the cares of the world and gave us an opportunity to draw closer to God, and struggle with our passions with a renewed vigour. After Liturgy the following morning, we packed our things, and set off. 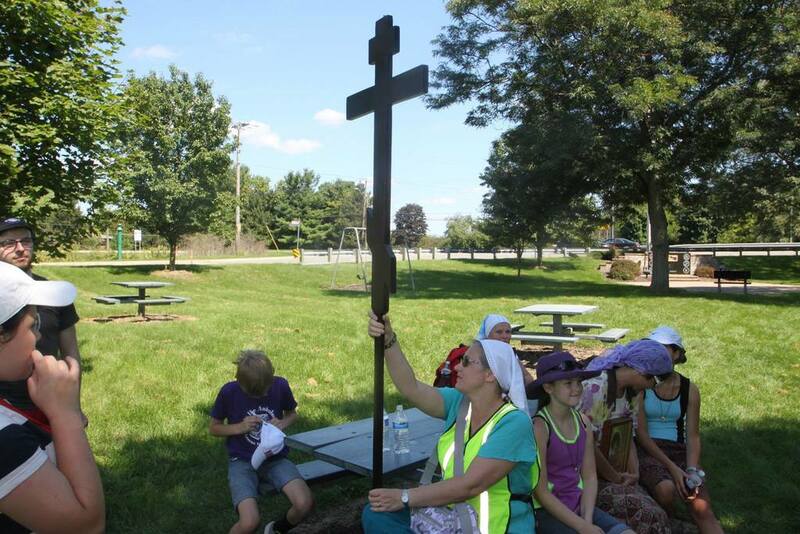 We walked ten miles to the Roger’s family farm, singing hymns joyfully to the Mother of God and Saint Peter as we went. We were greeted by the Roger’s family with a delicious dinner and a chance to rest. After giving our weary legs some much needed relief, we gathered in the barn and celebrated an open-air vigil, which was truly a unique experience. 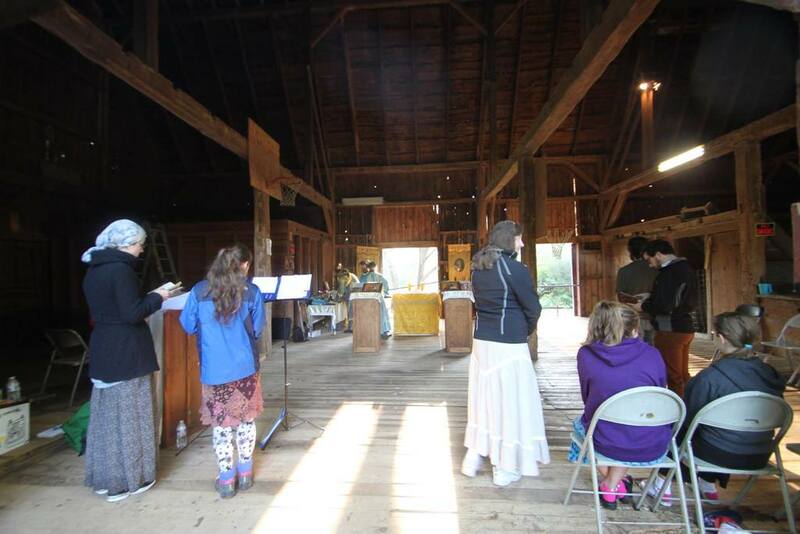 Sunday morning, after camping on the farm, we celebrated the liturgy in the barn, which Fr. Daniel told us reminded him of the Early Church, who worshiped where they were with what resources were available to them. Before departing for the return journey, Fr. Daniel once again gave us words of encouragement, reminding us that this pilgrimage was a model of our spiritual life. The journey to Paradise is long and hard, but with help from God and His Saints, we must endure it. 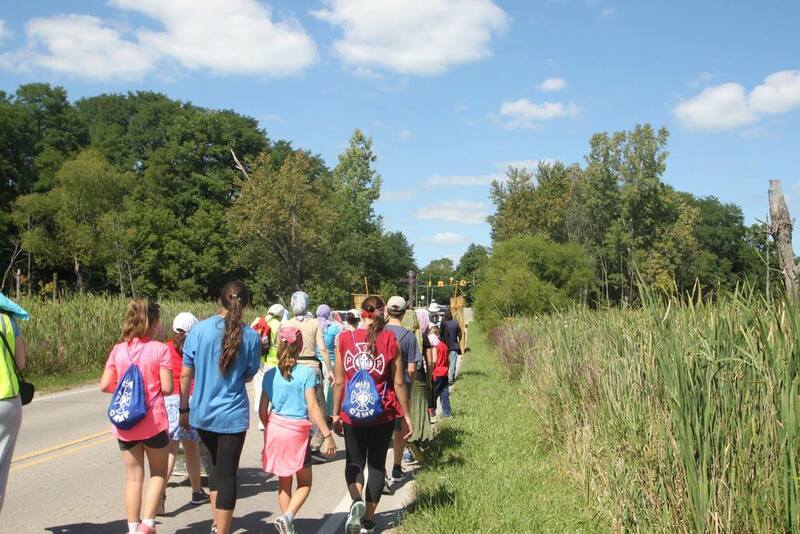 There is no other way but to walk, just as we walked on this pilgrimage. 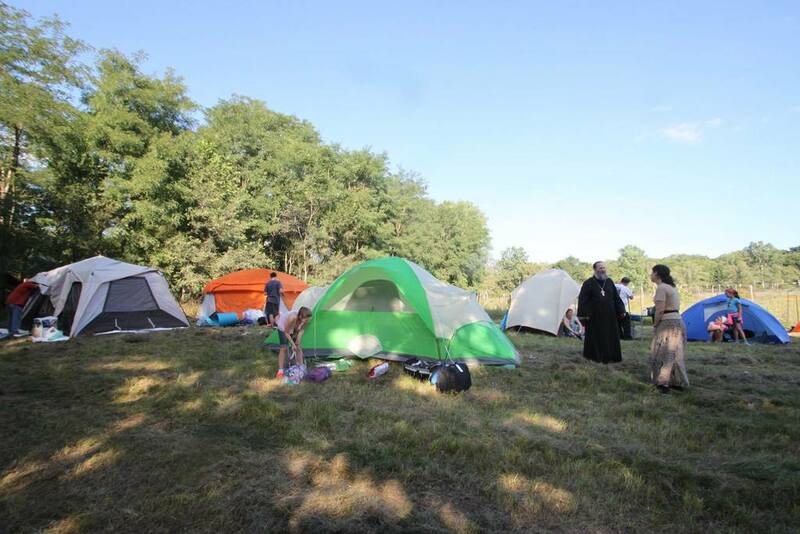 Encouraged by these words, we gathered our things and made the journey back to Saint Vladimir’s, where Fr. Gregory, the rector of St. Vladimir’s, and a few parishioners were waiting for us with dinner and a bonfire to celebrate the end of our journey. 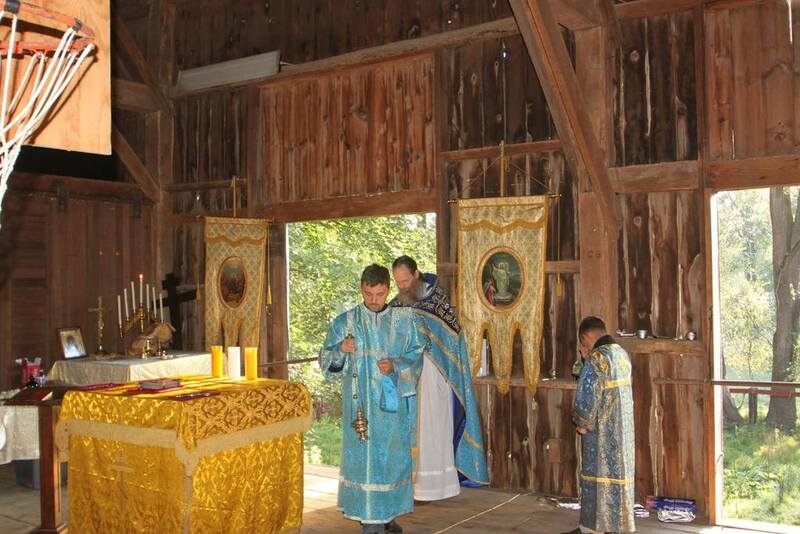 We ended the pilgrimage by celebrating the Divine Liturgy on Monday morning, sharing one final meal together, and returning to the world refreshed and strengthened. 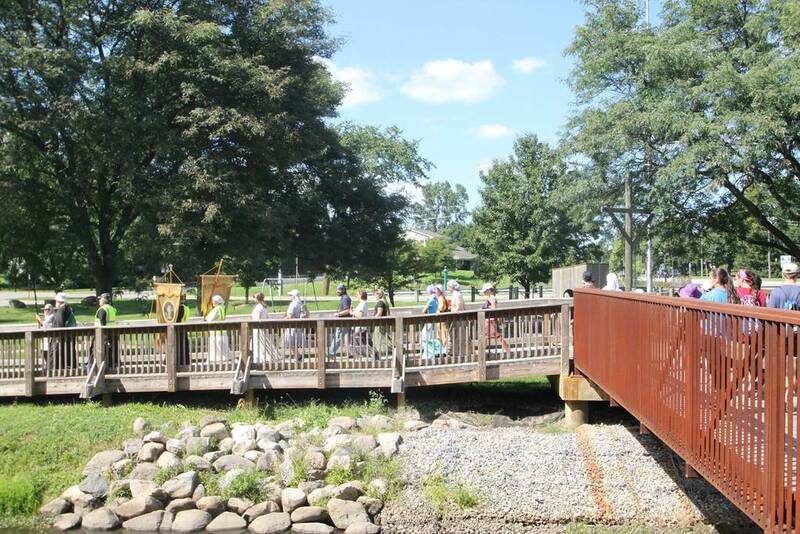 While the journey was hard and left us very tired, I believe it was of great spiritual benefit. We took the time to focus all of our energy on Christ, and it is my hope that this rose as incense before our Lord and Saviour. It is my hope that the Walk of Life will be continued for many years, and that as many as are able will be able to participate! 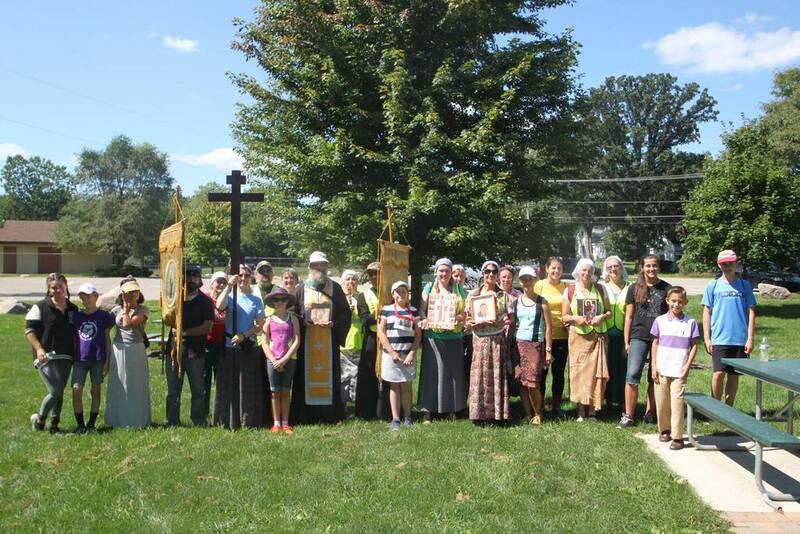 I would like to thank Archbishop Peter for giving us the blessing to go on this pilgrimage, Father Daniel for organizing this event, and for Father Gregory and the members of St. Vladimir’s, especially the Saint Xenia sisterhood, for hosting the event.